26 April 2011: UNAMID distributes hippo rollers to different households in Kuma Garadayat village, North Darfur. Hippo rollers are large drums that can contain 75 liters of water. Easy to carry, they are an excellent alternative to jerrycans and can be used by women and children. 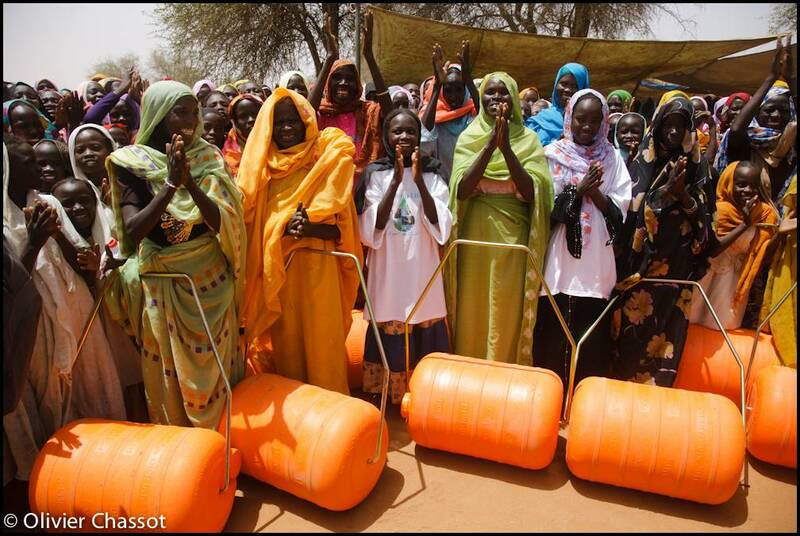 UNAMiD is going to distribute 3000 of these carriers in 8 different villages, in order to improve access to water. Difficult access to water is one of the cause of the Darfurian conflict. [Click on the picture to enlarge it].